An exceptional example of a perpetual calendar clock (circa 1864) in a rosewood veneered case. Considered by many collectors to be the most elegant casework produced by the Seth Thomas Company, the case presents a multi-sided door with an O.G. 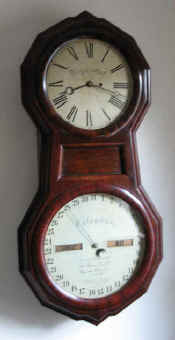 curve that proves to be the focal point of the entire clock. The case has a wonderful patina, and the veneer is excellent with no losses or bubbling. 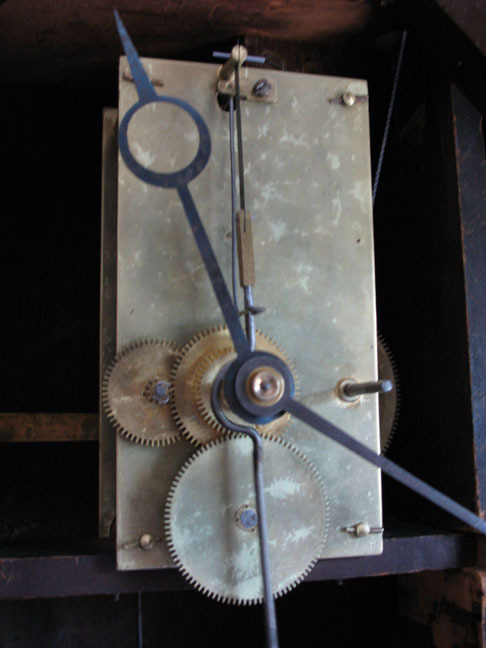 The clock also retains its original hands, door glass, pendulum rod, weight, and case hardware (including the key)! The eight-day-running timepiece movement is original to the case. As the dial reads, this is a true regulator. The movement is of the finest quality, featuring polished cut pinions, dead-beat escapement, and maintaining power. 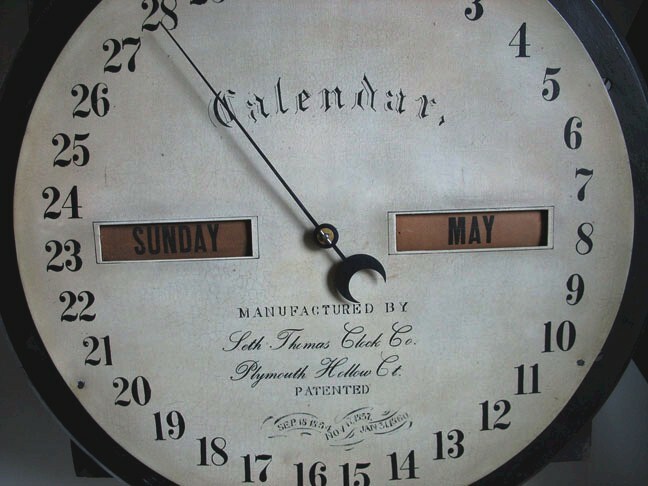 The calendar automatically compensates for differences in the length of the months, including Leap Year, hence the term perpetual. 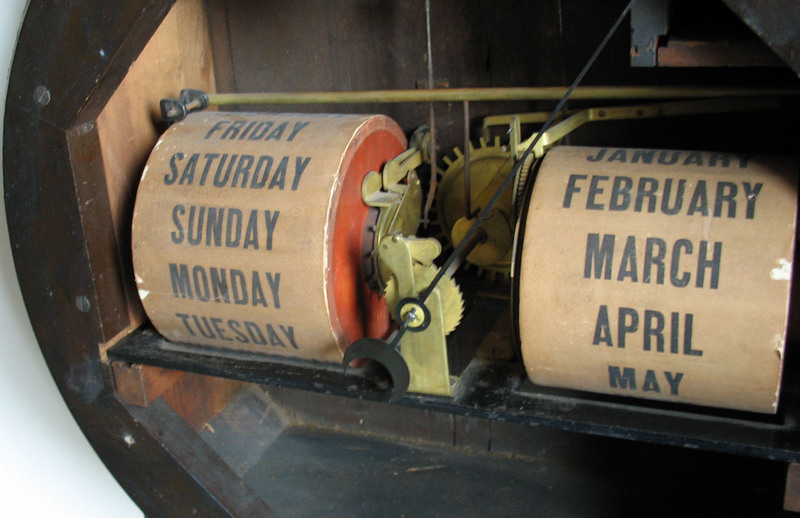 During the late 1850s, James and Eugene Mix manufactured a type of perpetual calendar mechanism showing the days of the week and the months on rollers. 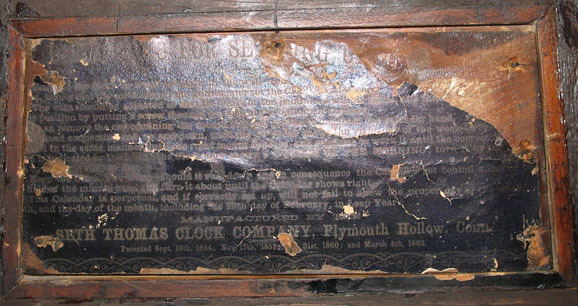 The brothers later received two patents on improvements to the calendar and then sold their rights to the Seth Thomas Clock Company in 1864. The latest patent date on the original label is 1862. This excellent timepiece also features a brass-faced damascened pendulum bob (at left). The 12” diameter time dial was restored over 25 years ago on its original zinc pan. 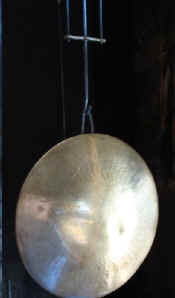 The dial was not prepared well, so it has suffered discoloration from oxidation. However, the paint is very stable, so no attempts were made to alter its appearance. 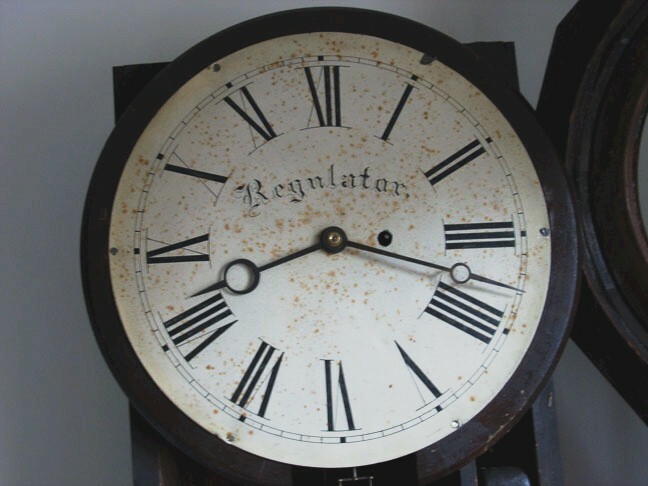 The 14" diameter calendar dial retains its original painted surface that was strengthened at the same time as the time dial was restored. 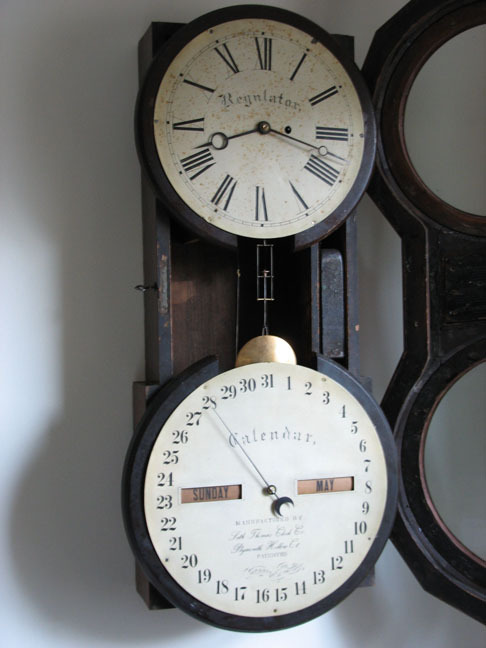 This wonderful clock is in excellent running order!